The Schuman declaration was momentous news. In less than three minutes – less than it takes to boil an egg – the minister from Moselle had described a new potential future for Europe. It declared a new relationship of cooperation, mutual respect and partnership between France and Germany, and any other participating nation. Most remarkably, it embraced the vanquished nation as a full and equal partner, redefining the horizons of the future. Headlines, editorials and political cartoons in the world’s press over the following days hailed the genius and generosity of this plan. ‘France takes the nations by surprise’, wrote the Daily Herald. The German Bonner Rundschau ran the headline, ‘Eine Sensation aus Frankreich’. Le Monde devoted most of the front page to what it called ‘une proposition révolutionnaire’. The communist L’Humanité, however, saw the proposal as a threat to the Soviet Union, a first step towards rebuilding an allied war machine. The Swiss paper, Sie und Er, described the man behind the proposal, as being: sober, lean, bald, without illusions, serious but not without a sense of humour, incorruptible, hard-working, deeply religious, a mite quirky, does not quite fit the image of a statesman of the French Republic. He does not even speak very good French. His mother tongue is German and, unlike most of his compatriots, he has absolutely no ear for music. A confirmed bachelor, Schuman admits quite openly that he is intimidated by women. In the Third Republic, he would have been unthinkable. That he is today playing such an important role is symptomatic of the transformation that France has undergone, of how fundamentally modest it has become. Schuman is not … corrupt like so many ministers of the Third Republic, he is not grandiloquent and unbending like de Gaulle, nor does he share the dazzle and wit of Bidault; he is straight and honest—nothing more nor less. A politician who eschews trickery and affectation is a rarity, and an agreeable one at that—and not only in French politics. Almost a year passed before the European Coal and Steel Community (ECSC), as proposed by the Schuman Plan, eventually became legal reality through the Treaty of Paris on April 15, 1951. Many details had still to be negotiated with the participating nations, including Italy, Belgium, Luxembourg and the Netherlands. This task was primarily managed by Monnet, with Schuman’s oversight from a distance. 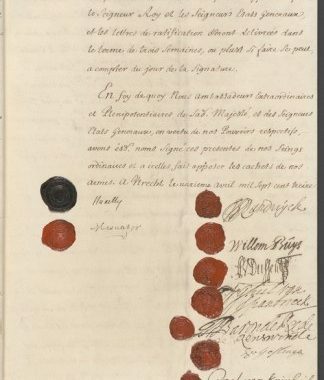 It was the first example in world history of nations voluntarily subordinating their sovereignty to each other to create a supranational entity ruled by law. Negotiations, while far from straight-forward and exploring unknown territory, were greatly eased by the common faith and vision for Europe held by Schuman and Adenauer, and their Italian colleague, prime minister Alcide de Gasperi. Their shared conviction that the new Europe had to be rebuilt on Christian foundations, and that the ECSC was a step towards that vision, was reflected in the prayer retreat the three men held at a Benedictine monastery on the Rhine, before signing the Paris treaty. 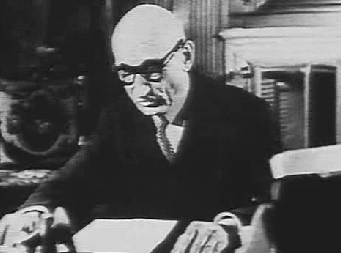 Jean Monnet became the first President of the High Authority (succeeded today by the European Commission). 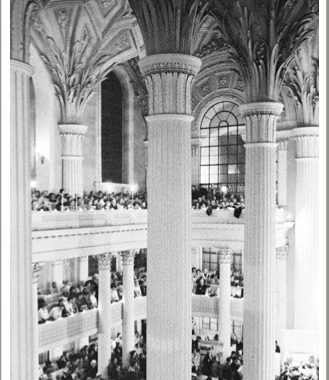 This was one of four pillars envisioned by Schuman for the new Europe, along with the Council of Ministers, the Common Assembly (now the European Parliament) and the Court of Justice (in Luxembourg). Many of the strategies which have guided the process of European integration were embryonically present in the original Schuman Plan. By moving ahead with a core minority of nations, a ‘two-speed‘ approach to integration has enabled the relatively rapid growth of what began on May 9, 1950, into a 28-nation union (including the UK) nearly seventy years later. My generation, and that of my military-age children, are the first generations in western Europe who have not known internal war for a very long time. Unlike the generations of our parents and grandparents, our families no longer mourn loved ones lost in European wars among EU member states. For nearly seventy years, this bold plan has indeed made war impossible among the member states.And for that historic breakthrough, we ought to thank God!